The Premier League 25 Years by Lloyd Pettiford is a book ‘written by the fans for the fans.’ A celebration of the quarter of a century old English Premier League, this quirky book is very different to what I was expecting but has given me an entertaining read. At times I loved what I was reading, another page and I was annoyed my team was being berated, and some paragraphs really did leave me bewildered! 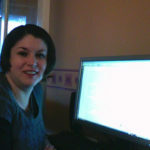 A mixture of emotions for your readers – clever work Pettiford. This book did everything the blurb said it would and more – it took me back to when I first fell in love with the league, it made me laugh and it even left me questioning, does Lloyd Pettiford actually like the Premier League or not?! 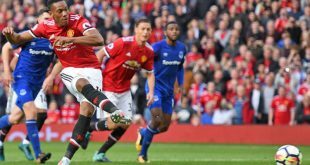 His digs and wit at the competing teams is amusing but quite cutting at times, Pettiford claims to support Southampton , I can rule out one club for sure – Manchester United! A red devil he is not, but a droll clever writer he is who has published a book that has everything a football fan wants from a read and more. This book has something for every supporter, and don’t worry United fans – Pettiford has to resign himself to having to credit the Old Trafford club in the end – for their 2013 13th title. When I first heard of this book, I wrongly presumed it would be a serious encyclopaedia of the Premier League era to date – profound statistics, knowledgeable facts, some of which there are but with added amusing (and at times off-the-wall!) figures thrown in, if you prefer a ‘taking the Michael’ approach to promoting the Premier League (again I presume the author does like England’s top league, he just prefers to express it through sarcasm and he may even fancy himself as a stand up comedian – the latter he could seriously consider as a second job to writing!) then you will certainly enjoy the ‘crazy but true facts and statistic’ sections. For example The 2005-06 season; ‘All the coaching staff at Chelsea spoke Portuguese except Steve Clarke who just sounds like he is if you’re not really concentrating’ – comical, and to Pettiford’s credit, well researched and quite interesting! I found myself at times thinking, wow really? And, where would you research bizarre information like that? So, while making me smile, I was also very impressed, it really depends on if you prefer the serious stats compiled into bar charts and tables, or if you want wit and quips – either way the latter is smart. The fan’s stories incorporated into the book are great reading. Humorous (of course!) interesting and at times sad, football wouldn’t be football without the fans and their tales of the ups and downs of their club’s Premier League history puts the game into perspective and captures the element of ‘football really is some supporter’s life’ perfectly. These are real stories from real fans. From the older generation, where the Premier League disrupted their small club’s three o’clock kick-off time and the tradition of league football’s local feel, to the younger fans who know no other era other than the heights of the Premier League – this book gives you the perfect insight into both sides of life as a fan. Outlining every season since the Premier League began, the facts and figures add up to a fascinating read as does sections on the best team of a particular season. The best players are discussed, best relegation escape, and of course, a fans view of each term whether it be a successful season or not. 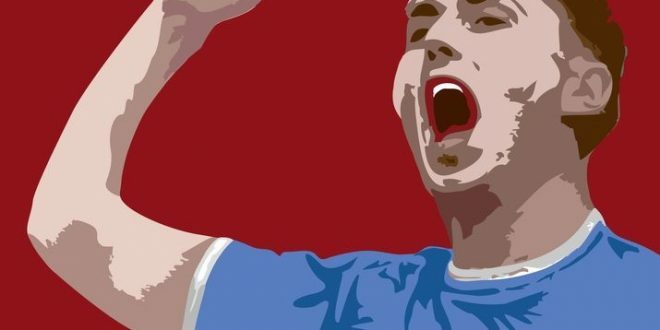 Every club that has ever played in the Premier League is featured, you will discover details of the last 25 years you would never know without this eccentric guide. All of this is again intertwined with the ever present comedic nature. In conclusion, whether you can take a joke or not, prefer serious stats to fun facts or just simply love the history of the game, every football fan will find something in this book to entertain them. Imaginative, smart, humorous and out of the ordinary – that is The Premier League 25 Years by Lloyd Pettiford. My name is Hannah Lawrence and I regularly write scripts, novels and articles. I have completed a course with The Writers Bureau and have had work published by Viz magazine, United Press poetry books and The UK Poetry Library. I have some of my short stories available for purchase on Amazon for Kindle, I am also a member of my local writer's group, Kingswood Writer's Ink. You will also find some of my work on my website as well as on Wattpad.